A stunt or stuntshow can be a huge success and provide a lot of publicity and entertainment. But when things go wrong it can have a dramatic effect with major impact on public and organization. Stuntteam Daring Dantes is well aware of this and provides adequate safety measures at all times. 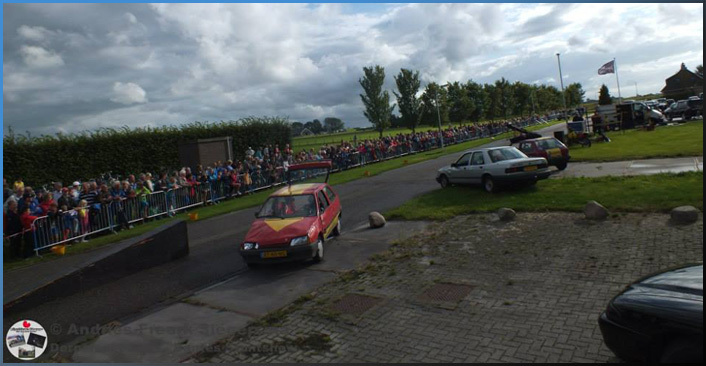 We have several approved fire extinguishers and fire blankets, the cars are prepared accurately on a day prior to your event, we always drive past the audience and never strait towards them. It goes without saying that everyone involved in the show are adults. At every stunt a stunt coordinator is in charge of safety. This person has no other task than ensuring the safety. This person also gives the sign that the stunt can start. All stunt coordinators within Stuntteam Daring Dantes are in possession of a valid emergency response or first aid training and have a minimum of 8 years experience with stunts for shows and events. Despite all the safety precautions we ensure the show and we indemnify your organization for the impact of the show or stunt.